This book is like a high action movie. I expected Jason Statham to pop in at any moment and save someone. I may not know anything about sailing and the locations in this book, but it didn't matter. The descriptions are so vivid, I really feel like I know what those places are like now. I was so into the book, that at one point I swear I could taste salt water in my mouth. I can see how this could happen in real life. A little part of me has always wanted to be involved in something like this. I am sure in the moment I wouldn't want to be. I suppose it is all about the danger..and how easy they make it seem in books and movies. 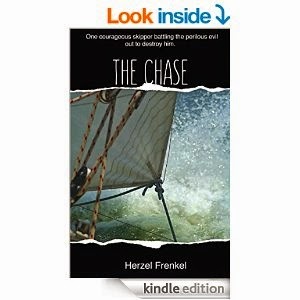 Avri decides to go on a vacation on his boat and find himself sailing for his life. No vacation is perfect but his turns out to be ridicuously dangerous. With so many twist and turns you will be left on the edge of your seat, never knowing where the book will go next. This is a very good book. I recommend this to everyone. No matter what your favorite type of movie is, you will enjoy this book. With how well written and executed it is, how could you not? You need to go right now to the product page on Amazon. Find out more about this exciting book, see what other reviewers are saying about it and buy it for yourself for only 99 cents!